Enjoy lazy summer evenings with your hens with this popular classic creamy, fruity cocktail. 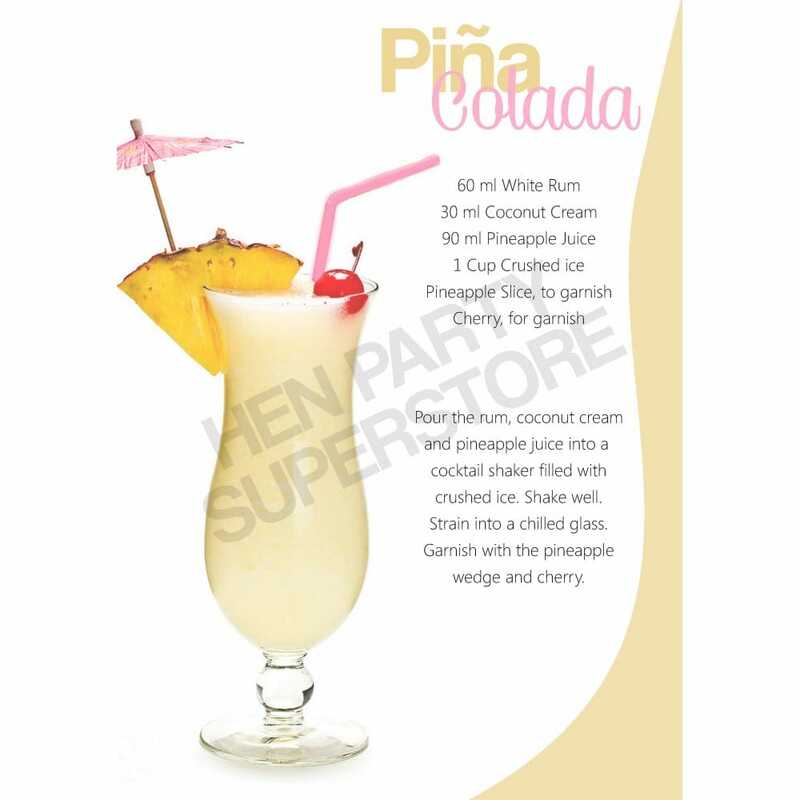 Coconut, cream and pineapple team up to create a sweet White Rum experience which will transport you to a summer paradise. Even if you cannot be in the sun you can sip on this drink through your straw and imagine you are there.